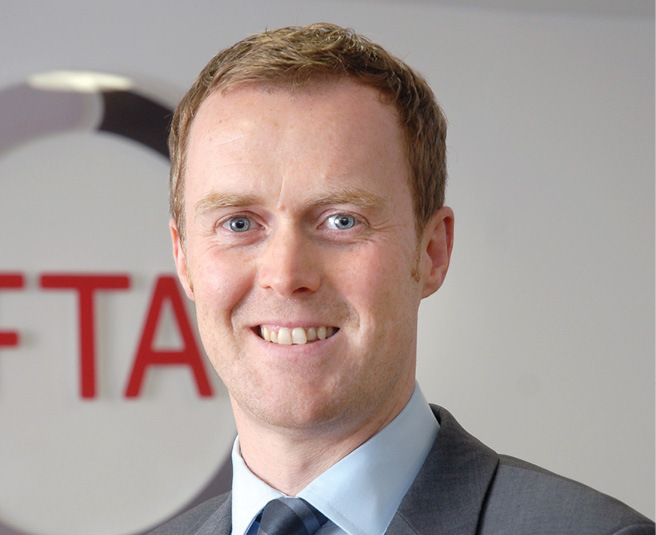 Freight Transport Association’s Policy and Membership Manager for Northern Ireland, Seamus Leheny, talks to David Whelan about the detrimental logistics of a hard Brexit and the lengths they are going to ensure that Ireland’s border remains porous. 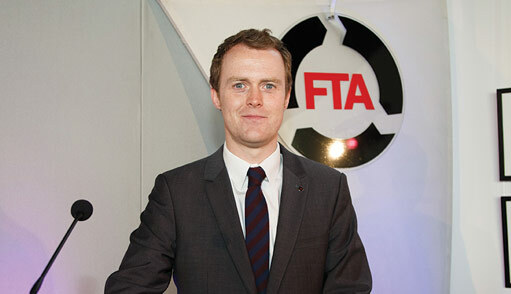 Like many industries, Seamus Leheny surmises that the greatest impact of the Brexit referendum on FTA members currently lies in the uncertainty. However, he is clear that while access to the Single Market is important, the majority of concerns surround access to the Republic of Ireland market. He estimates that well over half of the FTA’s Northern Ireland membership operate regularly across the border and is assertive that any return to border controls would be unfeasible for most businesses. During the Brexit campaign, the FTA opted to assume a neutral stance, instead choosing to act as an information provider and delivering factual analysis. Leheny explains that the role has now shifted somewhat to acting as a leading voice for the industry in ensuring that the difficult and unique situation that their members find themselves is recognised during any negotiations. “I believe we have had a fair degree in success in this role,” Leheny states, as he explains that he has been liaising with the Department of Transport (DfT) in London, the Northern Ireland Office and a range of political figures. 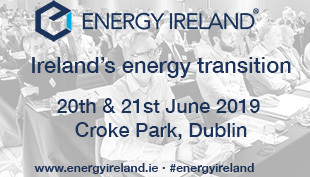 He points to a meeting in January between a delegation of six of Northern Ireland’s largest businesses, working cross-border, with four senior civil servants from DfT and the Department for Business, Energy and Industrial Strategy tasked with co-ordinating Brexit, organised by the FTA at the request of the Department, as a positive sign. Comments by British Prime Minister Theresa May in early January that the UK would not be able to keep “bits” of its membership have been taken by many as the strongest indication that there is to be a hard Brexit. Leheny is resolute in his stance that Northern Ireland is suffering from a connectivity imbalance in terms of ports, roads and air freight and must at the very least secure EU-level funding from Westminster. He is sceptical as to whether Northern Ireland’s ports are big enough or well-equipped to make use of any potential trade deals set up further than Europe and raises the potential of tariffs when using current trans-shipment ports such as Rotterdam as a launch port for any trade with North America. With the majority of Northern Ireland’s exports and imports travelling via road, any restrictions on travel, including the on-going repatriation of the UK border to Kent from Calais argument, would have a knock on effect for Northern Ireland’s trade, where high value and fresh good exports make up an extensive portion of the economy. “That’s why we are so reliant on the UK government to make sure our gateway to the EU remains clear for our road freight,” he states. 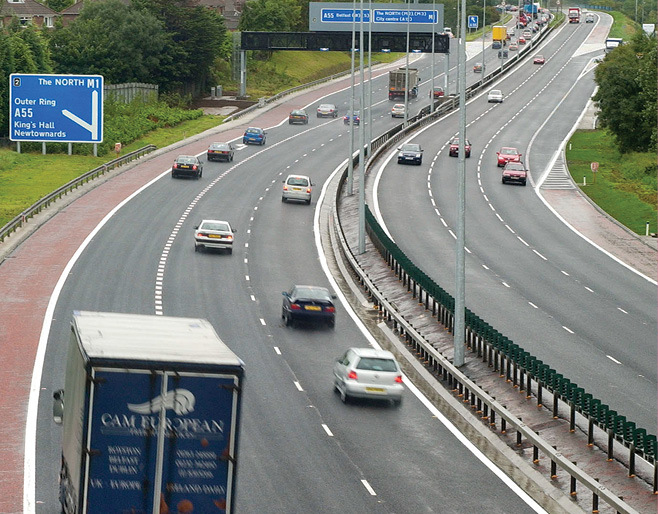 Leheny sees any potential loss to Ten-T EU funding as a “massive blow” for ambitions to upgrade Northern Ireland’s road system. Pointing to the recently completed A8 to Larne and plans for the York Street Interchange as examples of how beneficial EU funding can be, he is equally hopeful and sceptical about the Executive’s ability to secure replacement funding from Westminster for those projects deemed eligible for EU Ten-T funding such as the Newry Southern Relief Road, the A1 dual carriageway from Newry to Sprucefield and the Sprucefield bypass connecting the A1 and M1. Speaking just days after former deputy First Minister Martin McGuinness tendered his resignation, Leheny says that initial positive signs from the new Department for Infrastructure were now potentially in jeopardy. “The biggest impact for us is the lack of a budget until potentially August, which will likely delay the progress of any infrastructure projects. The Department’s strategy put a priority in redressing the imbalance in the West, these were projects that weren’t eligible for EU funding support and it was hoped that within the budget we would see further funding for further crucial road improvements. Any restrictions imposed on foreign nationals would also have a major impact on the sector, which Leheny points out is suffering from a shortage of freight drivers. Currently over one third of HGV drivers are over the age of 50, while just two per cent are under the age of 25. As well as a reliance on Eastern European drivers and drivers from the Republic of Ireland, EU nationals are also a vital source of labour within warehousing, were they make up 23 per cent of total staff.